Real cars don't exactly make a very practical collection unless you are really rich and have a good place to keep them safe and close to your heart. Obviously, it would be perfect if I had billions of dollars, live in a house some people would consider to be a castle in the beautiful countryside; with hectares of land all to myself and a personal team of car groomers. Sounds pretty much like Jay Leno. Because this is life, none of the above will likely materialize for a salaried guy so I am now indulging on something 1/64 the size of the real deal, has no engine, only moves in one fixed direction when pushed and fits into a paper box. Yes, I am talking about Tomica. The popular Japanese line of miniature die-cast toy cars that have remained evergreen for generations. To be honest, the regular collection is much "toy-like" and are not detailed. However, some of these models were produced in limited numbers and have become a novelty to collect over time. Here's the thing, the Tomicas will never hold a candle to higher detailed die-cast models like the 1/18 scales from Autoart. 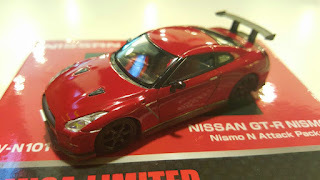 Now, I used to collect the Autoarts and I loved them for the level of detail and accuracy. Take a look at their current models rolling out from their factories like the Nissan GT-R, Lexus LFA and Bugatti Veyrons and you will be amazed at the level of vehicle detail. But it's precisely because they are 1/18 that makes them awesome to view and also difficult to store. 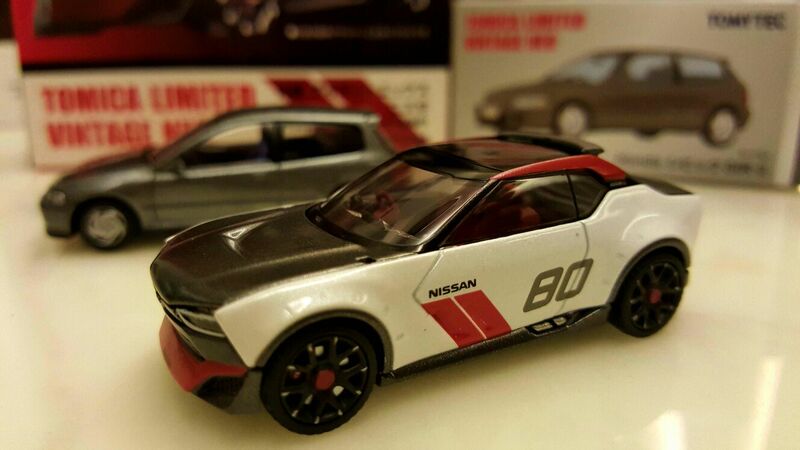 For a 1/64 or so scaled model, the Tomica Limited Vintage Neo series does nail it pretty well. The Nismo GT-R pictured above had some printed wordings on the base of the rear windshield in such tiny fonts that you may need a magnifying glass to really appreciate. Being a real sucker for detail, these cute little toys had the better of me and I ended up burning a hole in my pocket after 2 days of Tomica hunting. 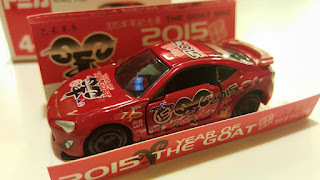 Interestingly, if you Google Tomica, you will discover that there is a large following here in Singapore. I have both local and foreign friends who are Tomica collectors and I assure you that some of them are really serious about it. There is also an awesome blog called Go! Go! Tomica that I found to be a really informative with some interesting reads. 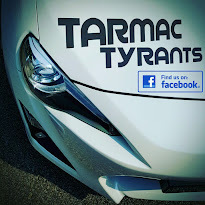 It's kind of like the 'mother' of all Tomica blogs from a collector's perspective and it's now being mentioned here on TarmacTyrants. Of course there are many kinds of collectors out there and the author of Go! Go! Tomica articulated this in a real hilarious way. Some would collect the entire series (not sure if this is even possible over the years) while others (like me) will pick and choose models that catch the eye. Then there is also the "The Car & Driver", a category that I too happen to fall into. 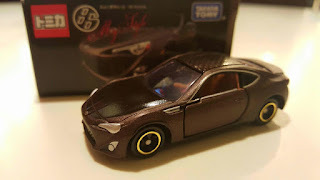 Now that I drive a GT86, I have embarked on a costly mission to get my hands on every single Tomica release of the Toyota 86 out there! Wish me luck. Love it or hate it, you can read more about Tomica on Wikipedia or discover the world of Tomica on the Takara Tomy website to understand why these little toys are gems to collectors worldwide as well as great toys for kids. As the saying goes... "The difference between a man and a boy is the price of his toy."